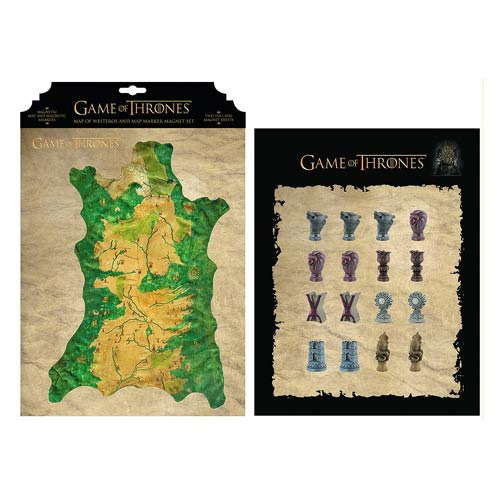 Dark Horse has taken the Westeros map and the map markers from HBO''s Game of Thrones and scaled them down to create this deluxe Game of Thrones Westeros Magnet Set. The set allows the owner to formulate his or her own strategic situations or reproduce those from the show. The map of Westeros is magnetic, as are all the map markers. Map measures about 10 1/2-inches long x 7 1/2-inches wide. Map markers measure about 1 3/4-inches long.